A new Luxair Boeing 737-800 landed today at Luxembourg airport. 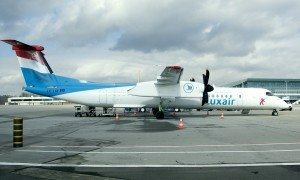 With this aircraft, Luxair’s operating fleet now comprises three Boeing 737-800, two Boeing 737-700, seven Bombardier Q400 and five Embraer ERJ 145. Delivered yesterday to Luxair by Boeing, the aircraft was ferried from Seattle, USA, by a Luxair crew of two pilots, an avionics engineer and a technical expert, with a stopover in Reykjavik, Iceland. The new aircraft, registered as LX-LBA, is to be operated on behalf of LuxairTours with a capacity of 186 passengers. It has yet to be the subject of a number of fittings, among them the installation of modern and very comfortable seats supplied by ZIM and split scimitar winglets which help reduce fuel consumption. 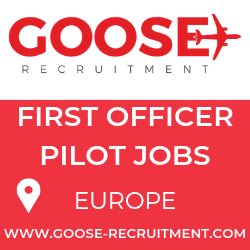 The aircraft will be operated commercially for the first time on 26 March with a flight to Djerba, Tunisia. It was ordered in September 2012, together with the other two Boeing 737-800 already operated by Luxair. The Boeing 737-800 is currently the tour operators’ preferred aircraft because of its ideal capacity, competitive cost per passenger-seat, its high reliability and its extended action radius, which also covers LuxairTours’ more distant destinations. The inclusion of the new aircraft’s additional capacity in its fleet allows Luxair, as of its 2015 summer season, to fully assign one of its Boeing 737-700 to its Airline activity, resulting in increased capacities and frequencies on some of its destinations.